In a couple of weeks I will be visiting a school in north London for a project with ArtisanCam. A class of year 6 pupils will be getting a visit from a live macaw from London Zoo, then making a book inspired by the experience. 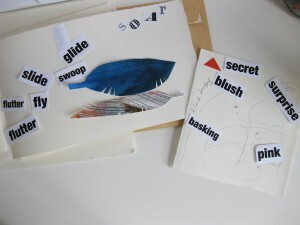 Today I’ve really enjoyed making a demonstration model, using a selection of jumbled up words and paper collage. 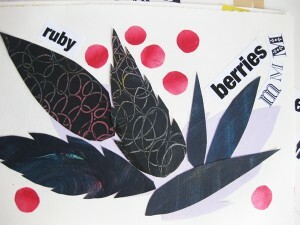 This entry was posted in birds, collage, General news, Workshops on June 17, 2009 by Jane Porter.